The summer holidays are almost over and let’s face it, you’ve definitely earned a treat. 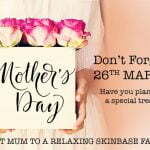 Book yourself a facial for when the kids are back at school, and spend the last few days having fun together, whilst you look forward to the pampering that awaits you once term starts again! But what kind of treatments could you get? Read on for some suggestions. If running around with the kids for six weeks meant you didn’t have much time to focus on your skin (understandable!) then perhaps your complexion is looking a bit lacklustre and could do with a boost. 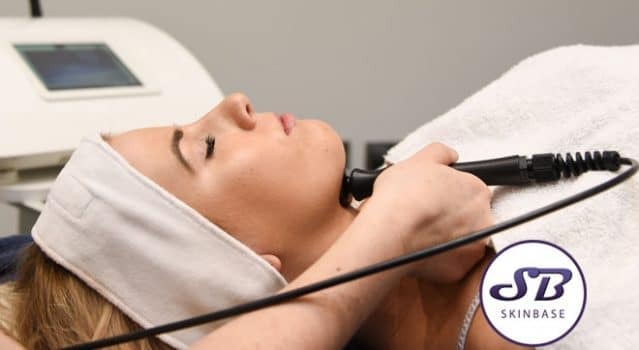 A Microdermabrasion facial will deeply exfoliate your skin to remove dead skin cells and grime, whilst also stimulating the circulation for a fresh, radiant complexion. Your skin will be smoother, softer, and will have a healthy glow. Microdermabrasion is a very relaxing treatment, and will really help you to unwind. If you’re feeling like your skin is losing firmness, and is ageing more than you’d like, book yourself in for a course of Radio Frequency. This treatment increases your skin’s production of collagen, as well as realigning the elastin fibres, to restore firmness and tautness within the skin. This helps to smooth out wrinkles and firms up sagging skin, for a plump, youthful complexion. The best part is that Radio Frequency starts to work right away and continues to work after your last treatment, so this is a pampering opportunity you can enjoy for a really long time! Is your skin starting to show signs of sun damage after your holidays? Or from being out in the garden with the kids? Now that summer is over, start a course of IPL Photorejuvenation to help to get rid of the pigmentation caused by sun damage. IPL Photorejuvenation works by causing a controlled form of damage in areas of pigment in the skin, so that your body is able to eliminate them using its natural healing processes. This makes IPL an effective solution to pigmentation from sun damage. If you’ve been a bit forgetful with your SPF due to being distracted with the kids, now is the time to really get into the habit of applying it every day, so that by the time the next summer holiday rolls around, you won’t undo the good work of your IPL treatments. Perhaps you just really want a treatment that will help you to relax and unwind. In this case, a massage is perfect for you, a whole hour dedicated to working out muscles knots and areas of tension using massage and aromatherapy essential oils – pure bliss. These are firm favourites for anyone who wants to really treat themselves, but did you know that you can make them even more enjoyable by having a Microdermabrasion manicure or pedicure? For the softest hands or feet around, this is a brilliant way to really treat yourself. Having someone else wash and style your hair is a wonderfully relaxing, pampering experience. Get them to deep condition your hair for added haircare benefits, and you’ll leave the salon feeling refreshed and rejuvenated. So what are you waiting for? Get yourself booked in for a pampering treatment today, for something to look forward to after the kids go back to school!